I know you are daring to go. You have been told how you can make legitimate money from blogging. You have learned how blogging can take your local small business higher. You are ready to leverage the online opportunities by venturing into blogging for your business. You have read how Linda Ikeji is earning thousands of dollars from Ads and sponsored posts on her blog. You can't believe how she owns a N650,000,000 mansion in the best Island in Lagos. You have studied all the "How To Start A Profitable Blog" eBooks from the likes of professional bloggers like Neil Patel, John Morrow, Jide Ogunsanya. You have finally decided to venture into blogging. You are ready to make money blogging. You have already decided if you are using a free blog host like Google blogpost, Wix, Tumblr or Wordpress. All you need to do is just purchase the cheapest domain name from domain registrars. Look within and ask yourself, "am I really ready to start a blog?" "Do I have all it takes to start a blog?" 1. Are you really ready? Yes, you have to ask yourself. Are you ready to join the smart bloggers? There is this quote I like to recite to people who are so excited about starting a new blog and purchasing a personal domain. The quote is "if I knew all I know now about blogging when I started, I would be up there Neil Patel or Jide Ogunsanya." The reason I always say this is that I want the aspiring bloggers to be calm and learn all the required knowledge there is to learn before starting out. This will make it easier and quicker to achieve success in a reasonable amount of time. There are many materials out there from pro-bloggers who have detailed their experience. All their failures and ways they finally break even is well detailed in this materials; in video, blog post, info-graphic, or eBooks. All you need to do is equip yourself with these resources and study religiously. Learn the basics of blogging from the best bloggers. 2. Have you chosen a specific niche? This is another aspect where newbie bloggers fail to consider before registering for a new web domain. Many newbie bloggers start a blog before they decide on what they are going to be blogging about. Be a smart blogger. Choose the best niche that interests you or that you are certain to learn from in the long run. Do not start a blog in email marketing because you have read it is highly profitable when what you are really interested in is fashion. You need to decide before you start so as to hit the ground running when you roll out. It is true that some niches are more profitable than others, that is if you are looking to make money from your blog. You should know that health care bloggers who offer Ads spaces for sale may not make enough money as those in the SEO or Law blogosphere. The cost per click (CPC) of these niches are different. Some keywords on Law can be as high as $174 while in health care, you may never get more than $3 CPC on some keywords. However, you should choose a niche your really going to enjoy doing and one you are confident it. 3. Decide if you want to make money with your blog or you just want to do it to enhance your local business. There are somethings to consider if you would like to make money with your blog. And if you are blogging to show expertise in your field or local business, then there are things to consider which may be slightly different from for-profit bloggers. However, starting a blog for both channels is still very similar. What is different here is only the approach to blogging if you are looking to make money from it. There are many ways you can make money from your blog, from offering Ads spaces to Affiliate marketing and selling your own products and services. For a non-profit blog, you may just want to be heard if you are sharing your personal experience or opinions, or you are detailing why your local business is the best to work with and so much more. If you want to make money blogging, it is more advisable to go for personal web hosting services like NameCheap, BlueHost, GoDaddy, etc., instead of free hosts like Wordpress or Google BlogSpot. Also, you would want to invest in a personal domain name with the .com or .org extension, instead of yourblogname.blogspot.com or yourblogname.wordpress.com. This shows if you are ready or not. 4. 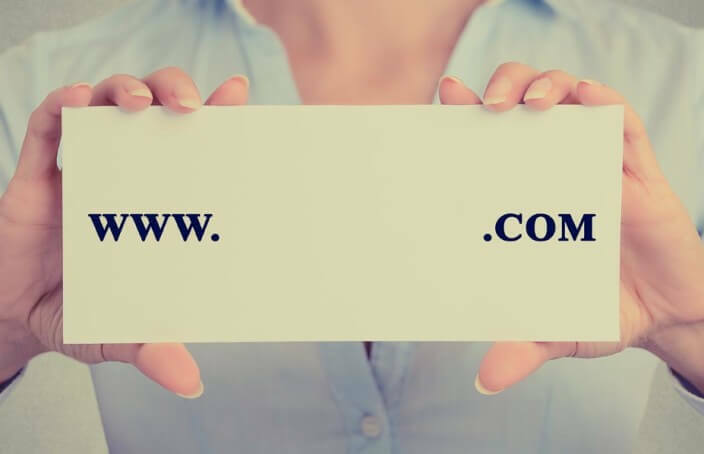 Choosing the domain name. Now you are convinced you have all it takes to become a successful blogger. You know Neil Patel or Paris Hilton are only humans without super powers, and you can match their energy and drive. Now that you have decided on a niche, do you just choose whatever domain name that comes to your mind? This is one of the most important feature if you are starting a blog as this would have a long lasting effect on your blog's SEO. You do not want to choose a domain with your personal name when you are not already a celeb or a brand. For example, you are looking to teach SEO, and then you choose a domain name like TimFereiss.com. Search engines gives priorities to blogs that have similar keywords to their niches. Before Neil Patel created neilpatel.com, he had worked on other successful blogs and startups so much that he personally became a brand. But if you are not Neil, which means people don't know you, then you should consider search engines. Take for example blogs teaching SEO, you see names like seopressor.com, seotips.com, problogger.com, etc. From the name of their domains, you already know what to expect. If your blog is going to be for your local business, you can have domain name like celebfashion.com if you are into fashion, or jimfishing.com if you offer fish pond services. If you are going to be doing local news, you can for domain names like localtexasnews.com or latestcalinews.com. The purpose of these keyword related domain names is to be Google or Bing friendly. 5. Do you know where your target audience are? Now you have set up a blog on marketing. Where do you think people who would be interested in your contents are visiting? Do you think it is social media platforms like Facebook, Twitter, or Pinterest? Or are they on forums? Do you have an email list ready or you are just looking to collect email addresses? All these are things to consider before rolling out. There is a stiff competition for blog readers and visitors out there and if you can't discover who and where your target audience are, then you can be left frustrated and you end up shutting down your blog. You can't be talking about SEO and you keep sharing your posts to people who are only interested in celebrity news. Before you register for that new domain, make sure you have build a following. Maybe it is on StumbleUpon, Medium, or Twitter, make sure you have an audience waiting to read your contents. 6. Do your have contents ready? Before you purchase that web domain, how many contents do you have ready? It is highly advisable to start a blog with at least 5 to 10 contents ready. You want to retain the visitors who would be flocking to your website when your start out. This new set of readers would not want to see just one or two contents. If you have juicy posts, they would want to see more that you have written, and this will increase the daily time spent on your site and reduce your bounce rate. Search engines can easily pick up these signals that your blog can be trusted. If you are looking to build your trust rank with search engines and increase quality page viewers retainment, then do have many contents that are linked internally together ready. If you can't create all the contents on your own, you can high freelance writers to do it for you. There are many freelancers on Fiverr, Upwork, Freelancer.com, etc., that you can hire for as low as $5 to help create quality and unique contents, and even for graphic designs and so much more.